Fall in love with the beautiful Pacific coastline that lies directly outside your window at the Hilton Grand Vacations MarBrisa resort. Find timeshare resales and rentals at this luxurious resort with SellMyTimeshareNow.com and save up to 70% on accommodations. Call the oceanside community of Carlsbad your home-away-from-home with the luxury timeshare accommodations at the Hilton MarBrisa resort. Facing the famous Southern California sea, you'll be perfectly positioned to enjoy all of the region's best attractions. Cruise the Pacific Coast Highway to explore scenic vistas and exciting destinations like San Diego or Newport Beach. Stay on-site at the resort to enjoy the gorgeous outdoor swimming pool in a private cabana or treat yourself at the health spa with relaxing massages and other treatments. 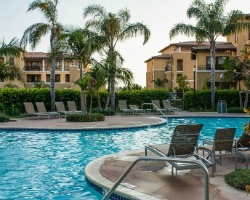 Your can choose between luxurious one, two, or three bedroom timeshare suites to enjoy your vacations to Carlsbad. Each suit features modern furnishings that channel the West Coast way of life, fully immersing you in a vacation atmosphere. Watch the sunsets from your private balcony, or enjoy home-cooked meals in your own fully-equipped kitchen. With enough space for parties of up to eight, your group will have everything they need in order to enjoy a revitalizing and relaxing trip to California. 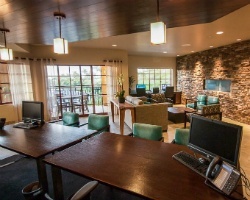 Are you ready to find your dream accommodations in Carlsbad? Simply fill out the form on this page to learn more about ownership options at the MarBrisa resort, or call a representative at 1-877-815-4227 today. Buying a timeshare resale at the Hilton MarBrisa resort can provide you with years of amazing trips to Southern California with exclusive perks and privileges, all for a fraction of what others pay. Because timeshare resales are sold by current owners, and not the resort itself, prices for the same ownership solutions are often much better on the secondary market. You can find beautiful accommodations at the Hilton Grand Vacations MarBrisa for prices up to 70% lower than retail costs, allowing you to save big. Resales at the resort are commonly available in deeded fixed or floating Hilton timeshare weeks, allowing you to find a specific ownership interval that best matches your vacation preferences. You may also encounter timeshares available at the resort in Hilton Grand Vacations Club points, which can lead to an easier and more efficient vacation-planning method. You'll find most timeshares at the MarBrisa fall within Hilton's Gold and Platinum seasons. The MarBrisa resort is affiliated with the Hilton Grand Vacations Club, one of the most beneficial and popular clubs in the industry. As a timeshare resale owner at the resort, you'll have the opportunity to explore some of the club's best benefits and features. While you won't be able to enroll in the club at the Elite level, you'll still be able to upgrade to HGVC points, bank and borrow those points for more efficient vacations, and convert them to HHonors rewards. You'll also have the chance to travel to other fascinating destinations all over the globe by spending your HGVC points at other Hilton resorts. The Hilton Grand Vacations Club at MarBrisa is also affiliated with RCI, the world's leading timeshare exchange company. Exchanging your timeshare can enable you to get the most out of your resale ownership by allowing you to travel the world. Simply deposit your Carlsbad accommodations into the exchange network and trade for stays at comparable resorts all over the globe. Additionally, since the Hilton Grand Vacations MarBrisa is a Gold Crown-rated resort with RCI, you'll be able to exchange with other top-rated resorts to enjoy the same high-quality vacations. This Hilton Grand Vacations Carlsbad resort comes fully packed with a luxurious catalogue of thoughtful amenities to help make your stay unforgettable. Relax by the expertly-designed pool to take in the sights and sounds of the picturesque coast just beyond the MarBrisa's grounds, or visit the adjacent Carlsbad Spa to truly unwind. Find four hot tubs and three firepits to relax during the cool evenings. 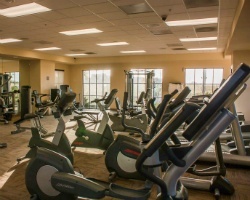 Stay active at the fitness center, or embark on a coordinated activity through the resort's front desk. Around the resort, you'll find you have instant access to some of the region's best attractions. Enjoy a private entrance into Legoland and Sea Life Aquarium for days of family-friendly fun. 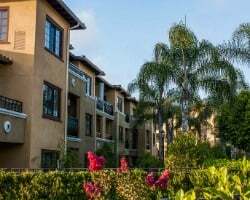 Hit some of the popular beaches around Carlsbad and Oceanside like South Ponto Beach or Buccaneer Beach Park for endless swimming, surfing, or sunbathing. Head north to Orange County to discover boutique shopping or golfing at Newport Beach, or head south into San Diego to find great restaurants, awesome surf spots, or more family fun at the San Diego Zoo. Whatever you choose to do, do it in luxury with the Hilton Grand Vacations Club at MarBrisa. Already Own at Hilton Grand Vacations Club at MarBrisa?